We are going to work on ten dams in the Ukraine. They are located in the rivers Kagach and Kagilnyk, which are part of a wetland in the Danube Delta. 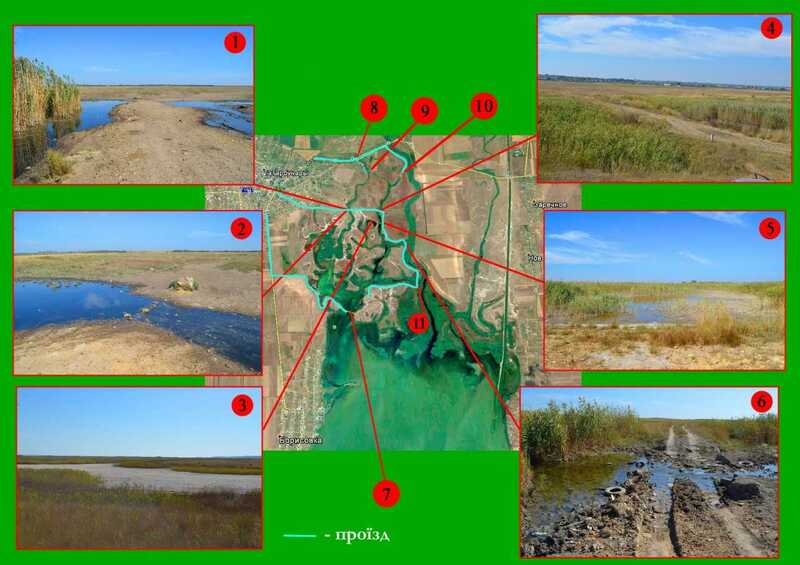 A total of 28,000 euros is needed to remove these Danube Delta Dams. If we collect half of this (14,000 euros) through crowdfunding, Rewilding Europe will finance the other half together with local parties. Dam Removal Europe movement is working to restore our European rivers by removing dams and hence make important steps towards ecologically healthy, economically profitable and socially valuable rivers. Natural rivers provide better opportunities for fisheries, flood protection, drinking water, recreation and nature. The main focus is on the removal of old, obsolete dams to ‘free’ our European rivers again. Dam Removal movement was started by WWF Netherlands together with the World Fish Migration Foundation, Rewilding Europe, the European Rivers Network and the Rivers Trust. In cooperation with Rewilding Europe and its local partner Rewilding Ukraine, we are going to work on ten dams in the Ukraine. They are located in the rivers Kagach and Kagilnyk, which are part of a wetland in the Danube Delta. Help us turn the tide! It would allow European rivers to flow freely again and all that beautiful nature will get the space she needs. With only 20 euros you can help us! Where are the dams? Check the map. The Danube Delta Dams (0.5 to 1.5 meters high) were built at the end of the last century in order to use the area for agricultural. There is also a road on one of the dams. Since then, all farmers have left and it has become a nature reserve. Together with you, we want to remove these dams, so that the river can flow freely again. If we remove the Danube Delta Dams, the river and everything that lives in and around it, has about 20 kilometers of space again. Wild carp, all kinds of frog species and otters can swim and breed there. The habitat of breeding birds such as the white heron, ibis and grebe will be greatly improved and the shallow water is important for migratory birds, such as ducks, geese and waders. Since Bart graduated in Wageningen in the field of water management, he has been committed to improving river management. In 1998, Bart went to Vietnam to research the Mekong River. For the last 10 years, Bart has worked for the WWF, mainly in Africa and Latin-America, to protect the beautiful natural rivers, like the Zambezi and the Amazon. In those countries rivers are the lifeblood for both animals and humans. In Europe we have forgotten this a little, but we can restore rivers here and give nature space again. That is why Bart, together with other river experts in Europe, has been trying to put the removal of dams in Europe on the map since 2015. Misha works for Rewilding Europe and is an experienced nature conservationist. He has worked at WWF as a consultant for over 15 years, where he has dedicated himself to nature restoration. As a child he often played in nature and, whenever possible, he could be found near a river. Why do dams need to be removed? Throughout Europe there are thousands of useless dams. These dams, large and small, block the way for fish and birds, which depend on free flowing rivers. By removing these dams, we will let rivers flow again and the river’s environment will come to life. Rivers are highways for fish on the way to their spawning grounds in the far hinterland and they are crucial for brooding, feeding and the migration of many species such as the sturgeon, the salmon, the otter, the common crane and the black stork. Beautiful animals! But they are also animals that depend on healthy rivers for their existence. At the moment they don’t get the space they need. Since 1970, the global biodiversity of rivers has decreased by 81%. Removing dams has tremendous positive results for the health of rivers and the river’s environment. Migratory fish will soon return, joined by fish-eating birds. Having rivers flow freely again is important for humans as well. The river’s renewed environment offers plenty of opportunities for recreation: swimming, hiking and playing. This benefits the local tourism industry and gives an important boost to the economy of the surrounding area. What are the benefits of removing dams? When the dam is gone the river can flow freely again, the nature reserve will come back to life and migratory fish will get the space they need. For the first time they can swim up and down the river again, looking for food and spawning grounds. And this has important, positive results for fish-eating birds, such as the spoonbill and the black stork. The river’s ecosystem will come back to life! Having rivers flow freely again is important for humans as well. The renewed nature reserve offers plenty of opportunities for recreation: swimming, hiking and playing. This benefits the local tourism industry and gives an important boost to the economy of the surrounding area. Agriculture and drinking water supply along the river will also profit from the cleaner water. Why dams in the United Kingdom and Ukraine and not another dam, in the Netherlands for example? These dams have a big impact on the environment. This is where we’ll start the Dam Removal movement. From there on out we want to organize a large European movement to remove many more dams in Europe. These can be dams in the Netherlands as well. Do ‘humans’ benefit from the removal of dams? Having rivers flow freely again is important for humans as well. The river’s renewed environment offers plenty of opportunities for recreation: swimming, hiking and playing. This benefits the local tourism industry and gives an important boost to the economy of the surrounding area. We now know that healthy rivers offer a lot more benefits such as providing a natural way of cleaning water, protecting people from floods and drought, providing drinking water and water for agriculture. Are there risks to removing the dam? WWF has made sure that all the necessary permits have been granted. We work together with experienced parties to remove the dam. What is the role of the World Wide Fund for Nature? Why does this initiative come from the Netherlands and not the actual countries? The World Wide Fund for Nature has started the Dam Removal movement together with the World Fish Migration Foundation, the European Rivers Network, the Rivers Trust and Rewilding Europe. We attach great value to European nature and everything she has to offer: incredible flora and fauna, beautiful reserves and a great and healthy environment for humans. We are convinced that by giving rivers their natural space a large biodiversity will open up and will be protected, realizing a better environment for humans as well. That is how free flowing rivers cause a free movement of water, animals and humans. To start a large European movement we first need to show that it’s possible. Old, useless dams can be removed without a problem, causing nature to return at full speed. With this (financial) boost of the first dams we will spur governments, organizations and people into action and we will inspire the removal of dams throughout Europe. What is the Dam Removal movement? How can I join the Dam Removal movement?